Heat oven to 450°F. Spray bottom and sides of 15x10x1-inch pan with cooking spray. Remove pie crusts from pouches. 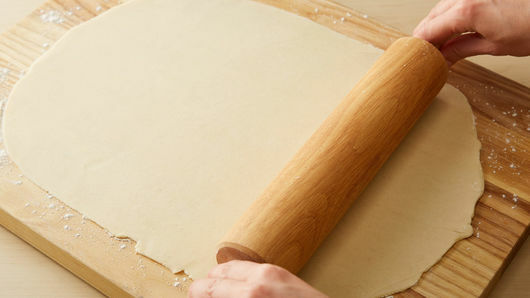 On lightly floured surface, unroll and stack crusts one on top of the other. Roll to 17x12-inch rectangle. 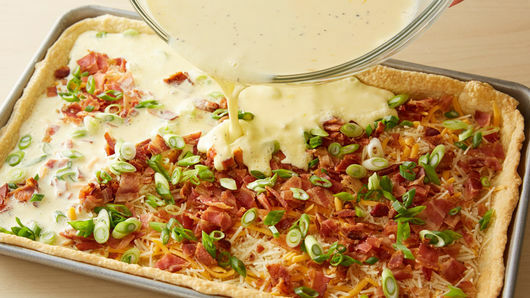 Fit crust into pan, pressing firmly into corners and sides. 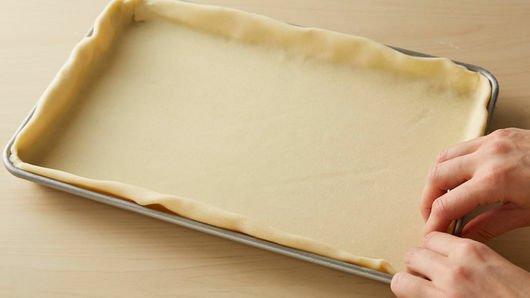 Fold extra crust up and over edges of pan. Seal any tears in crust. Bake 6 minutes; remove from oven, and cool 10 minutes. Reduce oven temperature to 375°F. In large bowl, beat eggs, half-and-half, salt and pepper with whisk. 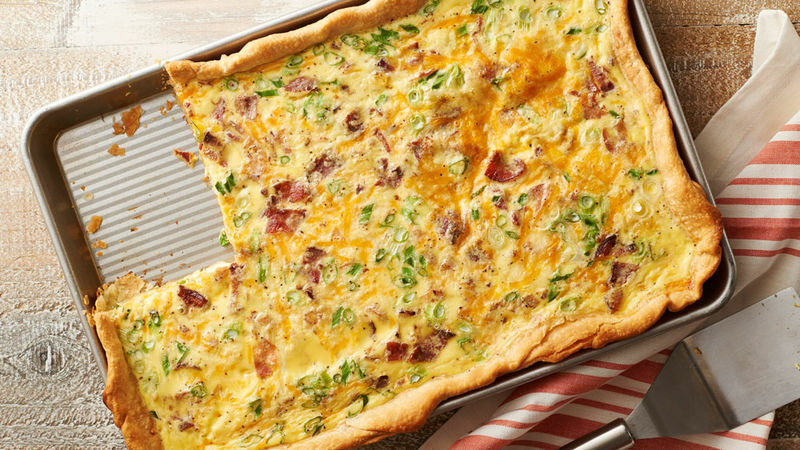 Sprinkle bacon, green onions and cheeses on top of pie crust. Carefully pour egg mixture over top. Bake 28 to 32 minutes or until knife inserted in center comes out clean and crust is light golden brown. Let stand 5 minutes before serving. Sheet pan will be very full of egg mixture, so take care when transferring to oven. Serve with a side of fresh fruit for a complete brunch.